Gluten Free Mrs D – Coeliac and nut-allergic Sian Drew’s gluten free travel blog, also covering eating out GF, especially in London. The Coeliactivist – Blog by Carly Talbot – coeliactivist, free from foodie, and #fruitisnotapudding founder. Gluten Free by the Sea – Kevin Gallop’s Plymouth-focused blog. The Happy Coeliac – Blog by Sam, a coeliac based in Holland, focusing on gluten-free recipes, as well as reviews and travel. The Hungry Boyfriend – Blog by coeliac Matthew Anderson, focusing on fine dining out. 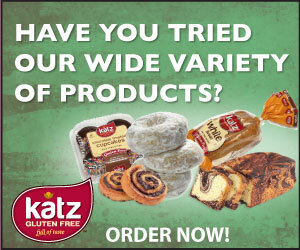 Truly Gluten Free – Micki Rose’s blog covering grain free living and all forms of gluten related disorders. TheAllergyMatters – Blog by Sarah Chapman, long-standing allergy charity volunteer and allergy advocate. Dairy Free Baby & Me – Covering cows’ milk protein allergy, by a mum of a CMPA child. The Intolerant Gourmand – Blog by Nathalie Newman, mum to a multiple-allergy son. Michelle’s Blog – Blog by Michelle Berriedale Johnson, director of the FreeFrom Awards, covering all issues regarding hypersensitivities and allergies, including regulation, free from food industry, environmental sensitivities and much more. What Allergy – Popular allergy blog run by Ruth Holroyd – who has multiple allergies and anaphylaxis – covering food allergy, intolerance and skin allergy. yesnobananas – Blog by Alexa Baracaia, mum to a multiple-allergic son. Clinical Alimentary – IBS and low FODMAP advice, including recipes, from specialist gut health dietitian, Julie Thompson. Pep’s Free From Kitchen – Highly original blog by Irish multiple intolerant – gluten free, nightshade free and low-histamine. Sugarpuffish – Sarah Coleman’s natural skincare blog, covering eczema, beauty reviews and also food sensitivities and free from food.